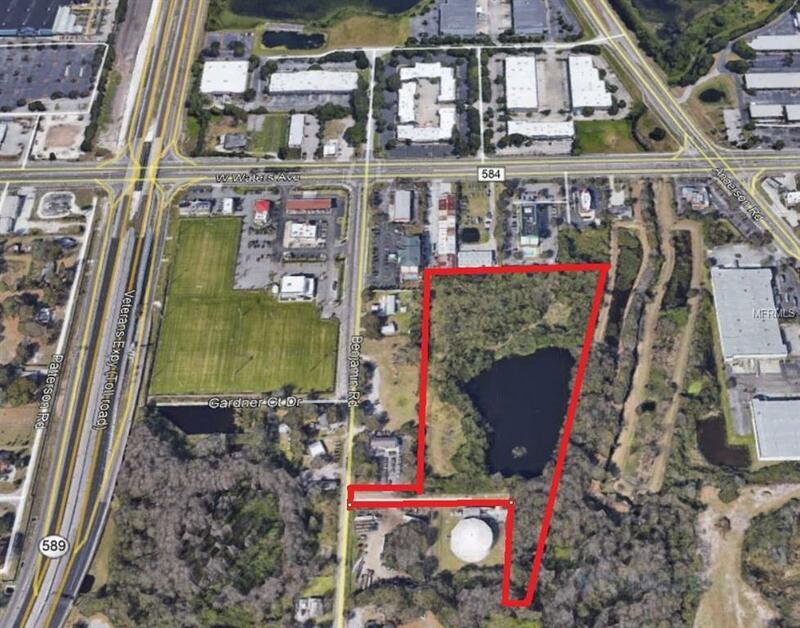 This 10.8 acre site is located at the intersection of Waters Ave/Benjamin Rd/Veterans Expressway, and is zoned M/M (Manufacturing) which allows for Assisted Living Facilities, Storage Units, Manufacturing, Warehousing, and many other industrial uses. 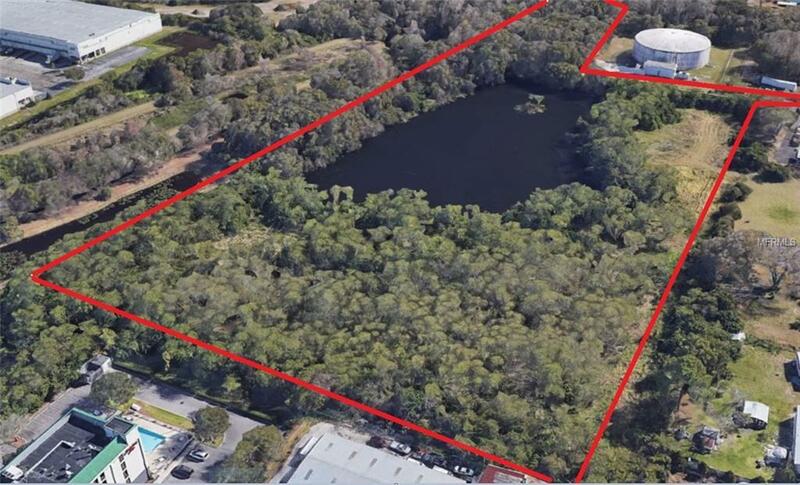 Enjoy the views of the 3 acre lake with private access from Sitka Street which was acquired by the current land owner from the county. 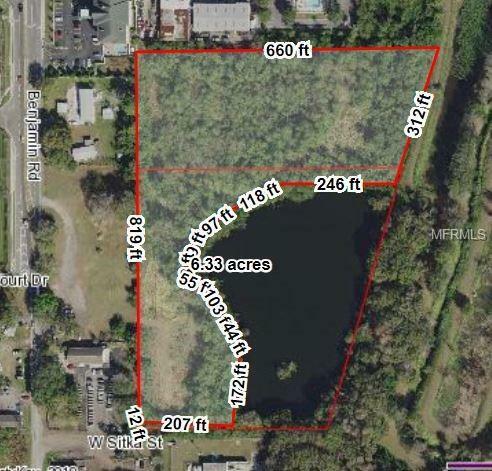 Building and parking pad would locate toward the northern 4 acres, measuring 315 x 600. This site is buffered by hotels to the north and tall trees surrounding the perimeter on all sides. 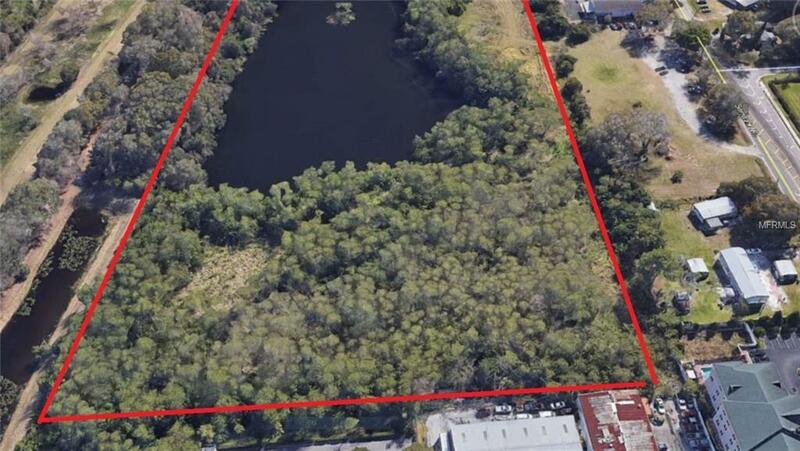 Possibility of acquiring land along Benjamin Road to allow direct access from Benjamin. Currently access via Sitka Street. Listing provided courtesy of Tam Bay Realty Llc.